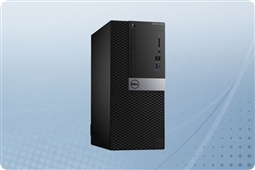 Dell Optiplex 7050 Desktops are the most versatile and expandable series of new Dell business PCs, and are ideal for Small to Medium Size Business (SMB) end users looking for a desktop solution that can grow with their business needs over time! Created with a tool-less upgrade design and easily removed side panel the Optiplex 7050 series desktops are simple to expand and are highly customizable desktops. 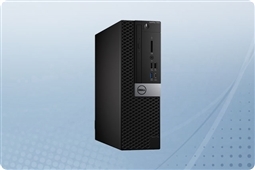 With Intel Core i5 or i7 processing power, DDR4 expandable up to 64GB for the small form factor and tower models, and storage options including SATA for high capacity or ultra fast solid state drives the Dell 7050 series desktops are also some of the most powerful making it easy to keep up with demanding applications. Also, cable covers reduce your clutter and provide cable management to ensure a smaller footprint for these desktops! Plus with the Dell Optiplex 7050 your data always stays secure with access to best in class features such as the Dell Advanced Endpoint Security Suite! Aventis Systems is proud to offer all of our Dell Optiplex 7050 series desktops with a standard 1 Year Essentials hardware replacement and support warranty. Upgrades to Secure Drive hard drive retention, Extended 2 Year term, and Express NBD parts replacement warranties are available as well for additional coverage. 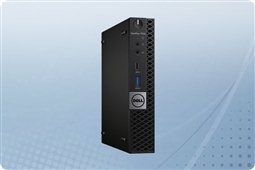 So shop our Micro, Tower, and Small Form Factor Dell Optiplex 7050 Desktops below and bring the best in desktop expansion to your business today!